I know he would have to add the slip but Camron went 10.0 with the car now. Qwik2k2z24: 12.26 @ 113.3mph purebred LD9. Manual trans, stock: internals, head, clutch, head gasket. Turbo at 15psi and on Nitto 555R drag radials. I have no idea which car and which slip you are referring to... the slips from 2009/2010, or the slip from 2011???? nothing appears to be new. My best is 15.32. N/A 2.4 automatic Z24 with street tires. I have proof. Go to youtube, search 15.32 z24 pass. To be added to the list, please add the slip to your profile. I guess I'll be heading to the drag strip Weds. for sure now. Very Nice Mike 3 tenths faster than your old best. LouisCobarruviaz 13.212@113.87 Turbo L61 purebred, Street tires. 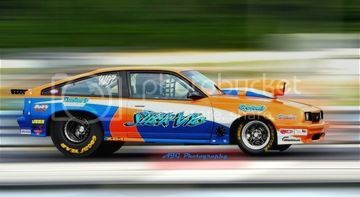 87 Cavalier 400.9" SBC 9.286@143 NA. Please add the slip to your profile, photos of the slip are great, but the rules state that the slip must be added. http://www.j-body.org/members/edit/timeslips/ - will allow you to add the slip. See notes above on both submissions. Please note: both of you have signatures that are too large for this site. The rules state that signatures can be no larger than 600 px by 200px. *Slick Vic: If you drop one of the two images, you'll be in compliance. *Dustin: Your signature is a bit too tall. if you resize it down, you'll be in compliance. You have been warned for this once already. Alright, I removed my sig and entered the Timeslip. Maybe I'm being stupid or something but I've got a clear list of engine mods (Cam specs, what the motor came out of, trany swap, etc ) on my mod list on my profile? Is there something I'm missing somewhere? 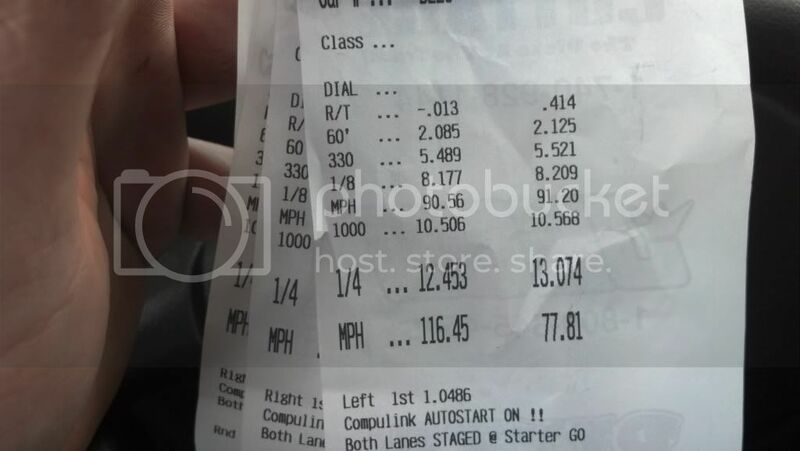 nice run...but Im curious though, I dont understand how someone got a 13 flat and only had a trap speed of 77mph....even Michael J Fox could hit 88 in a parking lot less than a 1/4 mile in a stock delorean!